Over the past two years, it seems like everyone has been talking about Bitcoin and Blockchain, reports IronX. Blockchain technology is being considered by many as the next big thing in the financial world – but in business and technology as well. There are those voicing concerns that this new technology is going to change the world we live in, since it can bypass bureaucratic and administrative hurdles, do away with brokers in certain deals, create new markets, increase privacy, and directly connect countries, deals, and people. For those not in the know, the technology was developed by Satoshi Nakamoto, states IronX. To this day, no one knows who the anonymous coder behind the Japanese pen name is, but it’s important to remember that the technology was originally developed as an infrastructure for the distribution of the digital Bitcoin currency. Only over the past two years have financial institutions and businesses begun to discover the wonders of this technology and research how it can be implemented to streamline large-scale systems and save on commissions and other costs. Blockchain is an innovative concept in the world of computing, with the central idea behind the technology being the creation of a system that allows online business transactions with no need for supervision from central management bodies. For example, peer-to-peer cash transfers without the need for external supervision or management. Until now, banks have served as supervisors for all monetary transactions, and they were the guarantors for the value of physical coins and notes. The reason for all the excitement is believed to be the digital registration of users, which is saved on all users’ computers, without exposing their identities. 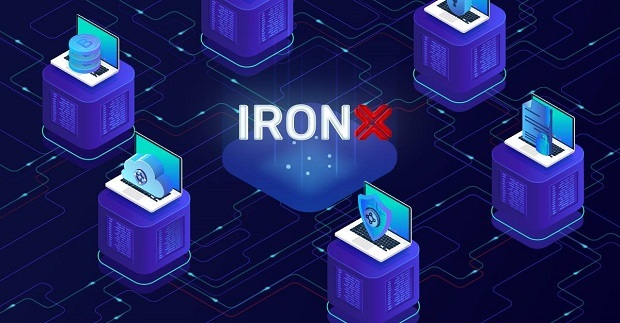 This digital registration includes information about users’ accounts and registration of cash transfers carried out on those accounts, with information being accessible, transparent, and available to any other user, while carefully safeguarding the identity and privacy of users, IronX reveals. The information is highly encrypted and saved in a block which is added to the existing chain of blocks. Each block is mathematically linked to the one preceding, in a manner that does not allow changes to be made to information saved in each block. Thus, scams are reduced and the risk of various forms of fraud are significantly minimised. It should be noted that each block is locked within a given period of time. After being locked and added to the chain, the system creates a unique digital signature from the previous block. The information regarding each deal is saved chronologically. After digitally locking each block, it is added to the chain of blocks, and thus, the system is considered safe and reliable, and it is almost impossible to forge or change data in the blocks. In the world of international trading, Blockchain systems are being implemented to improve processes, save on unnecessary commissions, and streamline the work of all parties involved. For example, instead of issuing a cargo bill for transporting goods between countries, all that paperwork can be saved, since the cargo bill is common to all, including banks, marine shipping companies, customs brokers, each country’s tax authorities, and of course, the importer and exporter. In summary, time will tell if the technology actually changes the business world. 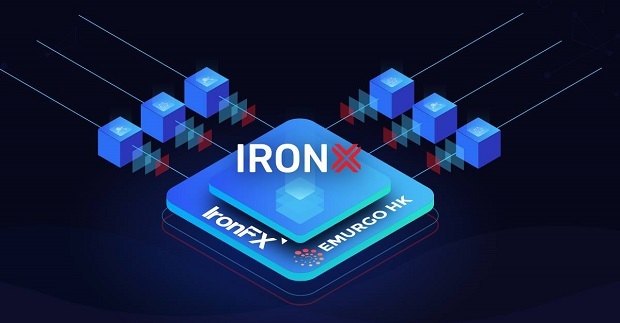 IronX indicates that some believe it could lead to a revolution in the financial world. But for now, according to many, the future looks bright for the start-ups being opened one after the other developing Blockchain-based apps and programs; as well as the many companies raising capital on their own with initial coin offerings (ICO) as an alternative to raising capital from designated funds or crowdfunding.